Data Exchange Bussiness|J-DEX|Japan Data Exchange Inc.
Business summary: Aiming for an emergence of data exchange market in Japan. 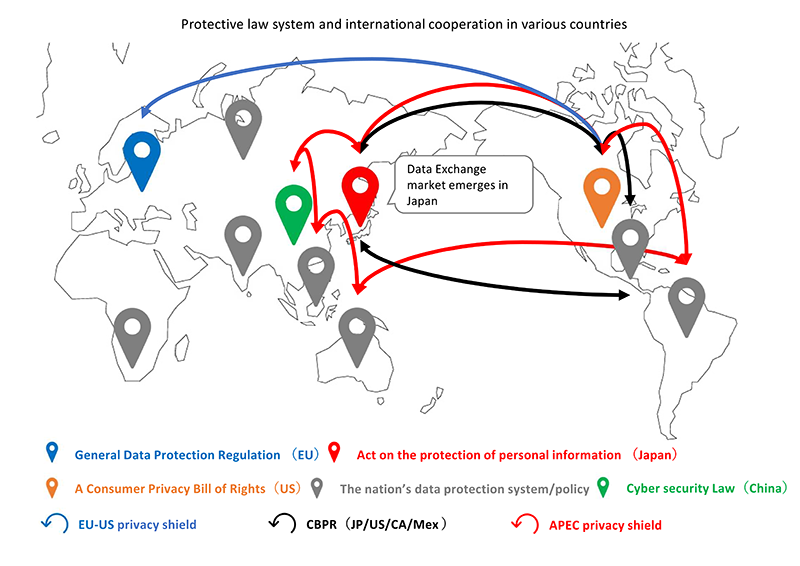 Data business is drawing a lot attention in developed nations, for instance, cross-national exchange of personal data had been discussed as an international political issue. Nonetheless, still a lot tasks lay before realization of free and safe data exchanges, and data are dominated by some big players. Within Japan domestic market, industrial-academic-governmental organizations are now approaching together for data exchange market’s growth. 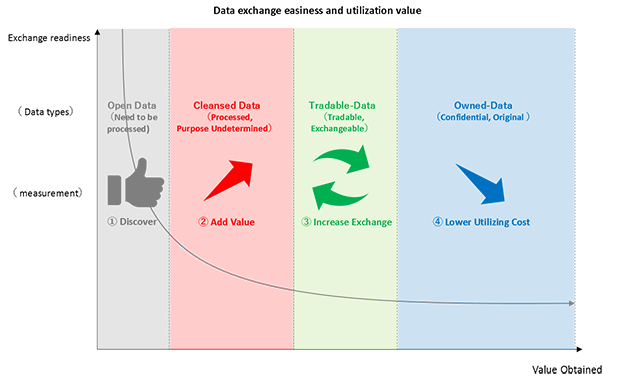 Data exchange impose a lot burden both on sellers and buyers. It is important to acquire broad range of knowledge on skills in data business, and need to purchase, examine, process, summarize into simple expression and transmit/dispatch information in every transaction. Sharing roles and costs sometime lead to conflicts. To reduce complicated tasks on both side, we produce and sell data catalogue, utilization recipe, analysis report, data set ready to utilize. Partnership programs are also available. When an enterprise makes usage of external data, terms and conditions on data utilization, privacy control and attribution of right may likely to be left unclear. 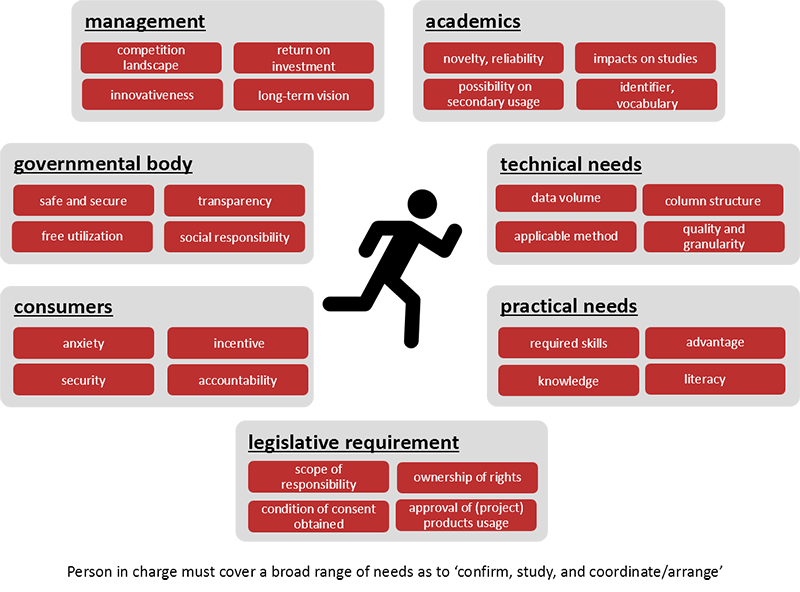 Related governmental agencies are making sample patterns and guidelines, a lot of limitations and exceptions within every industry exist and data types vary. As number of participants increase, procedure gets complicated rapidly. We support safe and comfortable exchange as a neutral mediator. We also serve for standardization and visualization of meta data and scheme through development and integration of common data catalogue. Collaborating with conference between industrial-academic-governmental conference, industrial consortium, expert community, outcome obtained from discussion and research of working level network, we aim to simplify inter-sector data exchange. Date of release, originators, other contributors, related data resource (URL), relationship with data resource referred, resource file identifier, language, area of time limitation and granularity, geographically and spatially area and granularity, standard quotation.